implement a unified and simple tool for the following tasks: Integration of the digital financial model into the traditional economy, banking and commodity environment; Optimization of financial and economic relations. The project uses a hybrid technology Blockchain DPOS+DAG. Royal Sting starts within the Commonwealth of Independent States (CIS), though is not limited by its territory. The first task of the project is to introduce innovative changes in the international money transfers in all of its aspects: from the economic and safety, and an access to cash funds 24/7 365 days a year to the simplicity of the functionality of the application with the ability to transfer funds in any direction and volume, anywhere in the world, in any currency, at any time. 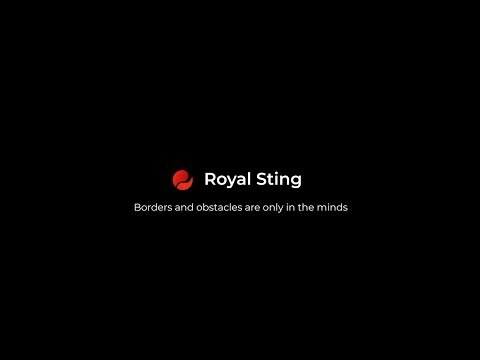 Initial stage begins with Royal Sting development in the Russian Federation because Russia is one of the leading places in the world for international transfers among immigrants. According to the Central Bank of Russia in 2017, the total volume of transfers from Russia to the CIS countries amounted to $24.9 billion. To that extent, the total volume of international transfers to and from the Russian Federation increased by 19% in 2017 compared to 2016 (the total volume of transfers from/to Russia amounted to $76.4 billion) and has a tendency to significant growth, which makes it possible to predict a stable basis for economic development in the long term of this project. At the end of 2018, it is expected that the total volume of international transfers to the Russian Federation and beyond will exceed $80 billion. The current instruments in the banking sector for international payments transfers do not measure up to the main challenges of the market demand: convenience, security, simplicity of use, speed and being in charge of our own transfer process. Constant bureaucratic delays, the inability to predict the timing of the transfer, high fees and limits on transfers make the process of sending money stressful and not convenient to the end user. But we have solved this problem. Co-author and head of media resources, business consultant. Conducting public sale of RSF (security token offering). Safety audit / stress tests. Update the Royal Sting RSU Blcockahin network. 1.1.